I spend time there every year, and every time I’m there it’s as though it was the first time – it never loses its magic. Last year I was there twice leading private tours (The Glam Italia Tours), but then I snuck back by myself for a little vacation in December and fell in love with the city all over again. Florence is spectacular any time of the year, but December is just sensational. 1. The Tourists Are Gone. I try to avoid Florence during the busy tourist months of July and August, but during the spring and the fall there are still throngs of enthusiasts getting themselves some map time in the middle of the sidewalks, cluttering up the view of the statues, generally getting in the way. December gives you a whole new city. The streets are wide open and clear, you can stroll all over town and not have to move to avoid a tour bus full of people walking down the street. 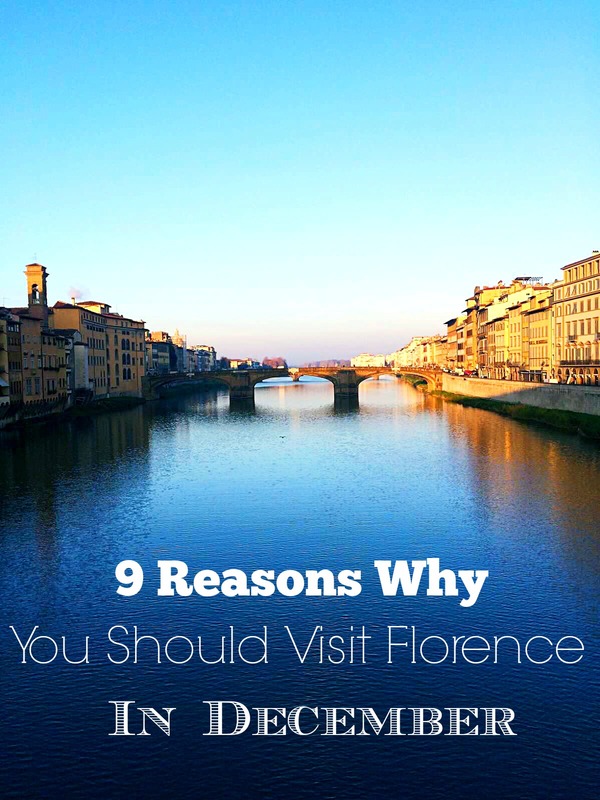 You own Florence in December – the city is yours. 2. The Prices Go Down. Take out the tourists and the cost of everything goes down. There are deals to be had in all the stores, restaurant prices go down, accommodation costs less. Even the airfares are reasonable. Palazzo Vecchio museum in December. Not a tourist in sight! No matter what you want to see, there are no lines and no crowds. In December everywhere I went including the Palazzo Vecchio and the Ufizzi there were no tourists in sight. This meant I had the museums and art galleries all to myself. There was no wall of people to try and see through, everything was there just for me. I was able to view the greatest works of Renaissance art from up close, then step back, take in all the angles, and not have a single soul get in my way. 4. People Are Even More Friendly. Without mindless throngs of rude tourists being demanding, criticizing, and no doubt just being plain annoying, the locals can focus on you when you are there in December. They have more time to chat, have space to tell you about interesting things to do, can linger over coffee or a glass of wine and give you so much more quality time. 5. Christmas Is Amazing In Florence. Santa doesn’t show up in Italy. Christmas is about Jesus. Regardless of your religious beliefs it is so refreshing to walk around at night and see all the gorgeous lights, with no sleigh bells jingle-ing ring-ting-tingle-ing too. No elves, no Ho Ho Ho, no candy canes. It feels so authentic and so legitimate. Walking in and out of stores you aren’t assaulted by looped cheesey Christmas carols or made-for-Christmas wares. The Christmas season runs from around December 8th until January 6th, and the stores start running end of year sales with discounts ranging from 30% to 70% – and who doesn’t want amazing Italian clothes and shoes at 70% off?? Florence is a gorgeous city to walk around anytime, but the golden evenings with holiday lights are just beautiful. Piazza Santa Croce becomes a German market in December. Stalls selling wooden German toys sit next to knick knack stalls, Sicilian marzipan stalls share walls with vendors selling hot German sausages. There are all kinds of European foods available, hot drinks and cold beer. It smells wonderful and it is particularly lovely to stroll around at night. 7. The Sunsets Come Sooner. As much as I just love those long, soft, summer evenings in Florence, sitting up at Piazzale Michelangelo watching the sun set over the Arno, I also love bundling up for the December chill in the late afternoon and catching the sun setting for the evening at 5 or 6 pm. It’s wickedly romantic! 9. The Hazy Mornings And Afternoons. I probably wouldn’t enjoy the grey spells if I actually lived there, but as a guest I found them completely beguiling. Wandering through Florence and surrounding Tuscany, looking at the castles rising up through the fog, looking out the train windows at fields bathed in grey mist you discover a whole new Italian romance. It’s so beautiful. Winter cappuccinos in the piazza on a grey morning before the sun breaks through are sensational. I’m a little heartbroken that I couldn’t be there this year in December, but I’m planning on going back for a pre-Christmas visit next Year. Florence in December is just fabulous. You might just want to add it to your bucket list. Would you like to know my favorite secret places in Florence? From my favorite restaurants to secret perfumeries and jewelry designers these are places I will never divulge on the blog! I have made a PDF that tells you all these secrets. The wine bars alone will make you drool! Click here for my Secret Florence PDF! Have you ordered your copy of my book Glam Italia! 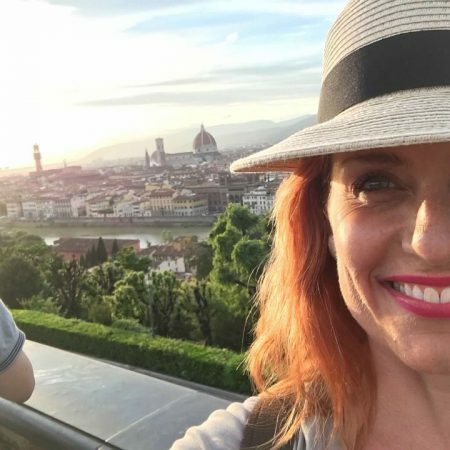 How To Travel Italy (Secrets to Glamorous Travel on a Not So Glamorous Budget!) 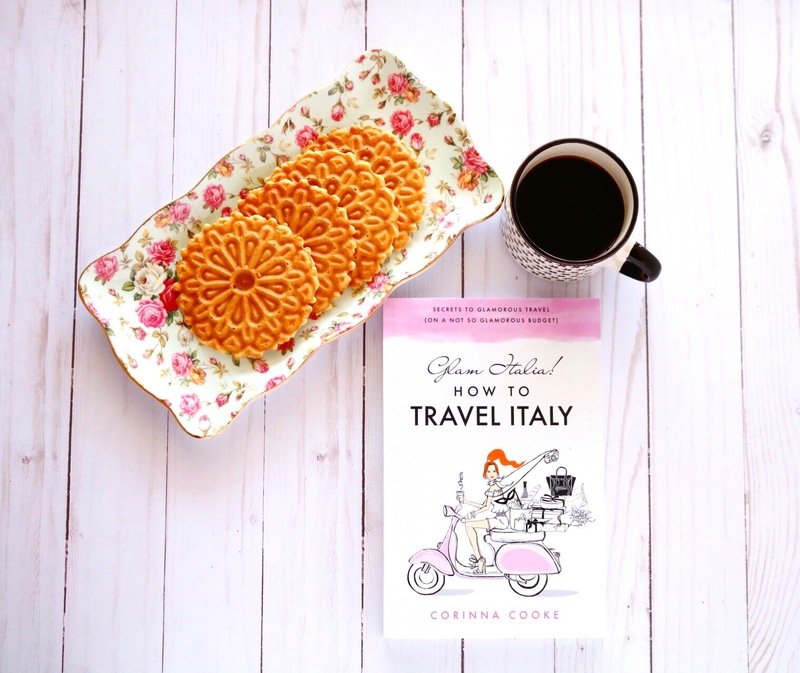 Essential reading for anyone planning a trip to Italy or just hoping to go! Available exclusively on Amazon.com Click here to order your copy!